Mike Tyson-conqueror Danny Williams is finally hanging up the gloves after a lengthy career that saw him defend his British heavyweight title more times than any other boxer apart from Henry Cooper. The 45-year-old “Brixton Bomber” bows out with a record of 52-27 (39) after losing to former Commonwealth lightweight champion Lee McAllister by 10th round stoppage last month. 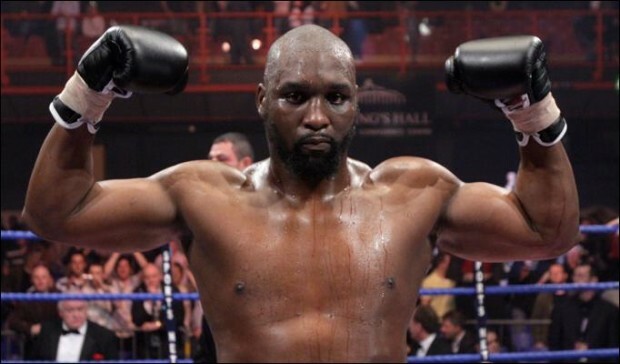 His performance was a long way removed from his glory days in the early 2000s when he shocked the world by knocking out Mike Tyson in four rounds in 2004. “I was terrible (against McAllister in Aberdeen) and couldn’t get my shots out,” said Williams to the Evening Express. “A peak Danny Williams would have ended it in the second round. “But, (he paused), this is old Danny Williams. Williams is testament to the old adage that boxing is a sport that provides for the highest of highs and lowest of lows. His one-armed win over Mark Potter remains a highlight of his 23-year career in the ring. Williams has some work lined up in Nigeria that ironically sounds more dangerous than his previous career as a boxer. “I am going to do some bodyguard work in Nigeria. It is a very risky job as I will have a gun with me – I have a gun licence. I am definitely, totally finished with boxing,” said Williams.